Roman Road Summer Festival is set to return for its third year and will showcase the best of the East End’s talent, heritage, culture and arts all provided in partnership with local businesses, schools and groups. The festival will take place on Sunday 24th July between 11am and 7pm and includes all the below plus more being added all the time. 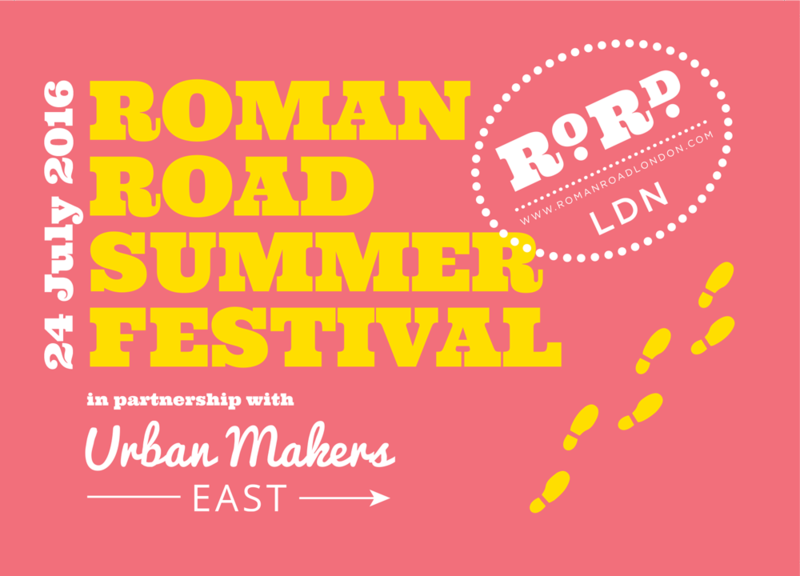 For updates join our Festival Facebook event and follow Roman Road LDN on Twitter. 13.35 -14.00 Roman Road Pop-Up Choir; come along and learn a smashing East End song or two. No experience or talent necessary. The elegant FIPA stilt dancers, guaranteed to amaze the children and adults alike. Spot them on the hour at 13.00, 14.00 and 15.00. Roving magician – Professor Palmermoff will astound you with his tricks but only if you can find him! Street food from Yard Market regulars Roasticini as well as Croquetas Vigar and Market Grill. Being a community festival in the true East End of London, Cockney is a big theme of the festival and this year we’re holding Cockney classes to learn the lingo in our Mini Marquee alongside Bangladeshi folk dance, magic, hip hop and Bingo. 11.20-11.40 Cockney Sparras sword-swallowing, saw playing and walking on glass. 14.30-14.50 Cockney Sparras sword-swallowing, saw playing and walking on glass. 16.45-17.05 Cockney Sparras sword-swallowing, saw playing and walking on glass. 18.00-18.20 Cockney Sparras amaze and amuse one last time! Lots more to come and look out for fringe events held at local shops too!